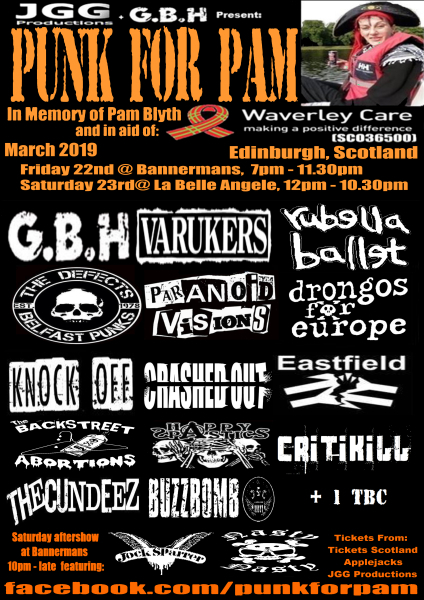 Punk For Pam is a charity fundraising festival held in Edinburgh in Memory of Pam Blyth (Sister of Jock Blyth, GBH), which raises money to help people with HIV in Scotland and The UK through Waverley Care from its base Milestone Hospice in Edinburgh. 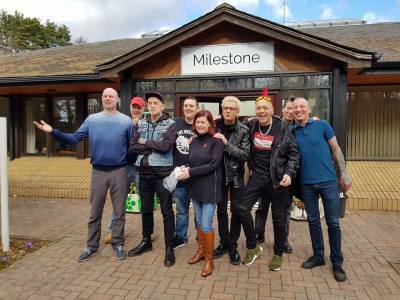 since 2012 the Punk For Pam campaign has raised over £20,000 for Waverley Care. Punk For Pam is a registered trademark, if you wish to setup an event it must be done through us! 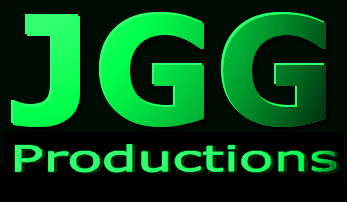 We are always looking for raffle prizes, if you are able to donate something please contact us!